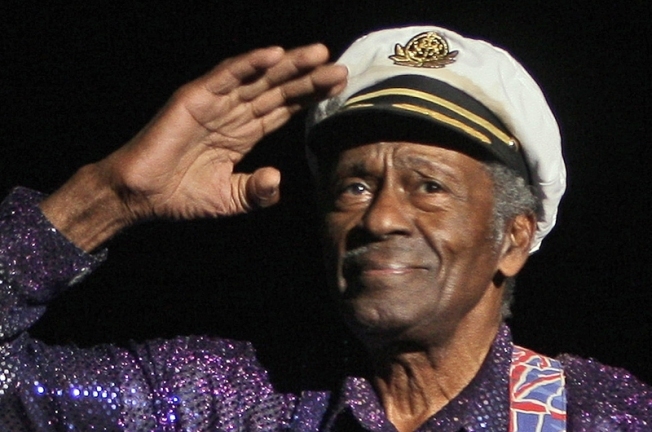 Rock icon Chuck Berry experienced a health scare last night in Chicago when he collapsed on his keyboard while performing at the Congress Theater last night, the Chicago Sun-Times reported. Rock icon Chuck Berry experienced a health scare last night in Chicago when he collapsed on his keyboard while performing at the Congress Theater, the Chicago Sun-Times reported. The newspaper said Berry’s head was on the keyboard and that he didn’t move for a brief while. He was then assisted by people who escorted him off the stage. After 20 minutes, the 84-year-old legend returned and tried to perform with his guitar but then told the crowd he didn’t have the strength. A Chicago fire official said that Berry was ill before the show and was checked out by ambulance personnel, The Associated Press reported. Fire department spokesman Joe Roccasalva said Berry felt better and signed a release. The Sun-Times said that Berry, who had just recently played two shows at New York’s B.B. King Blues Club and Grill on New Year's Eve, was not in sync with his Chicago band during the show last night.